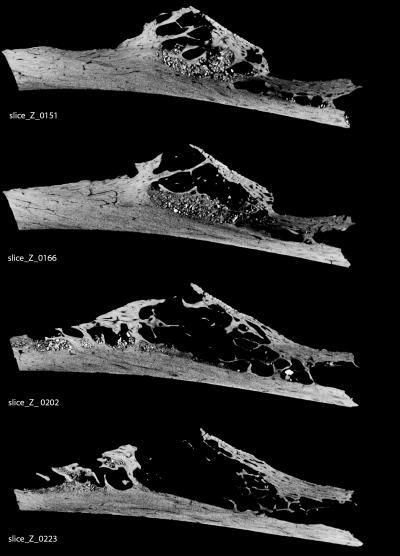 A 120,000-year-old Neandertal bone fragment discovered in Croatia’s Krapina cave has recently been found to contain the earliest known bone tumor. 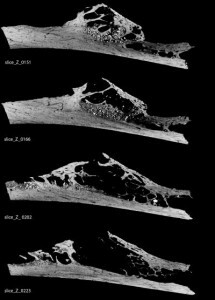 Using a u-CT scan and an X-ray, researchers identified a fibrous dysplastic neoplasm, the most common form of benign bone tumor in modern humans, on a 30 millimeter (4.5 inch) section of a young Neandertal’s left rib. With primary bone tumors a rare occurrence in modern humans, and the previous oldest specimens dated only to 1,000 to 4,000 years old, this fossil is a unique specimen. The tumor adds further evidence to the connection between Neandertals and modern humans. First extracted from the cave in the early 1900’s, the 120,000-year-old rib of a young Neandertal was mistakenly thought to be an animal bone. It wasn’t until 1986 that it was properly identified. Really? We need another “link”? Sorry, comments have been closed. Get the latest Caving News delivered to your inbox! Submit your caving news and let the worldwide caving community know what you've been up to! Do you have an idea or suggestion? Found a bug somewhere on the site? Just want to chat? We'd love to hear from you.